Gabrielle Dorziat (1880–1979) was a French stage and film actress. 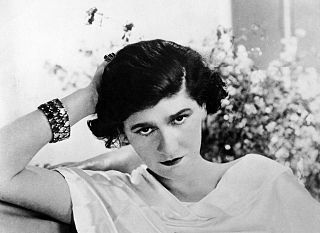 Dorziat was a fashion trend setter in Paris and helped popularize the designs of Coco Chanel. The Théâtre Gabrielle-Dorziat in Épernay, France is named for her. Épernay is a commune in the Marne department in northern France. Épernay is located some 130 km north-east of Paris on the main line of the Eastern railway to Strasbourg. The town sits on the left bank of the Marne at the extremity of the Cubry valley which crosses it. She was born in 1880. Dorziat made her stage début in 1898 at the Théâtre Royal du Parc in Brussels. She moved to Paris and appeared in Alfred Capus' La Bourse ou la vie (1900), but it was her performance as Thérèse Herbault in Chaîne anglaise (1906) that brought her to public attention. She became known for her off-stage life as well, becoming romantically involved with actors Lucien Guitry and Louis Jouvet. She had close friendships with Jean Cocteau, Jean Giraudoux, Coco Chanel, Paul Bourget and Henri Bernstein. During World War I Dorziat left France to tour the United States where she raised money for war refugees. After the war she toured Canada, South America and the rest of Europe. The Théâtre Royal du Parc (French), Parktheater (Dutch) is a theatre at 3, Rue de la Loi in Brussels, on the edge of the Brussels Park facing the Federal Parliament. Its nearest Metro stations are the Arts-Loi/Kunst-Wet metro station and the Park metro station. Mayerling is a small village in Lower Austria belonging to the municipality of Alland in the district of Baden. It is situated on the Schwechat river, in the Wienerwald, 15 miles (24 km) southwest of Vienna. From 1550, it was in the possession of the abbey of Heiligenkreuz. Les Parents terribles is a 1948 film adaptation directed by Jean Cocteau from his own stage play Les Parents terribles. Cocteau used the same cast who had appeared in a successful stage revival of the play in Paris in 1946. The film has sometimes been known by the English title The Storm Within. Manon is a 1949 French film directed by Henri-Georges Clouzot. It is a loose adaptation of the 1731 novel Manon Lescaut by Abbé Prévost. Mayerling is a 1936 French historical drama film directed by Anatole Litvak and produced by Seymour Nebenzal from a screenplay by Marcel Achard, Joseph Kessel, and Irma von Cube, based on the 1930 novel Idyll's End by Claude Anet. Samson is 1936 French drama film directed by Maurice Tourneur and starring Harry Baur, Gaby Morlay and André Lefaur. It was based on the 1908 play of the same title by Henri Bernstein, which had previously been made into three silent films. The film was shot at the Joinville Studios in Paris, with sets designed by the art director Guy de Gastyne. Forty Little Mothers is a 1936 French comedy film directed by Léonide Moguy and starring Lucien Baroux, Gabrielle Dorziat and Pauline Carton. The 1940 Hollywood film Forty Little Mothers was based on the same story. Abel Hermant was a French novelist, playwright, essayist and writer, and member of the Académie française. The Théâtre du Vaudeville was a theatre in Paris. It opened on 12 January 1792 on rue de Chartres. Its directors, Piis and Barré, mainly put on "petites pièces mêlées de couplets sur des airs connus", including vaudevilles. Francis de Croisset was a Belgian-born French playwright and opera librettist. Léonie Marie Julie Bathiat, known professionally as Arletty, was a French actress, singer, and fashion model. She was found guilty of treason for an affair with a German officer during WWII, but she continued her career which included playing Blanche in the French version of A Streetcar Named Desire. Jules Eugène Louis Jouvet was a French actor, director, and theatre director. Maurice Thiriet was a French composer of classical and film music. Marie Bell, born Marie-Jeanne Bellon, was a French tragedian, comic actor and stage director. She was the director of the Théâtre du Gymnase in Paris from 1962 onwards, and this theatre now bears her name. Lucienne Bogaert was a French actress. She started her career in theatre, but later also worked in film. After she divorced her husband Robert Bogaert, she retained his name for professional purposes. Madeleine Ozeray, was a French stage and film actress. She appeared in many films between 1932 and 1980. 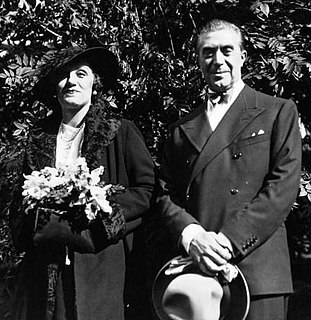 She is the godmother of theater actor, dancer and singer Frédéric Norbert. Julien Bertheau was a French actor. Woman of Malacca is a 1937 French drama film directed by Marc Allégret and starring Edwige Feuillère, Pierre Richard-Willm and Betty Daussmond. It was based on a 1935 novel by the French writer Francis de Croisset. It was a major success on its initial release. Germaine Dermoz was a French film and theatre actress of the early-to-mid twentieth century. Mary Marquet, born Micheline Marguerite Delphine Marquet, was a French stage and film actress. Jacques Baumer, was a French theatre director and comedian. Steve Passeur, pen name of Étienne Morin, was a French dramatist and screenwriter. His plays with scathing replicas often depicted cynical characters. André Mouëzy-Éon was a French dramatist, author of comedies, librettist, screenwriter and dialoguist. Saint-Yves was the pen name of Édouard Déaddé, a 19th-century French playwright. Louis Gabriel Montigny was a 19th-century French playwright and writer. Ernest Henri Demanne was a French comedian. Wikimedia Commons has media related to Gabrielle Dorziat .